The use of BIM on the project is the result of a partnership with Bentley Systems—and recently, Bentley announced that the common data environment (CDE) for the project has officially been moved to the cloud. The CDE has been set up on a hybrid cloud-computing platform powered by Microsoft Azure and managed by Bentley’s AssetWise software. This will assist greatly in managing the engineering and asset information involved in such a large project and will allow project members to see a complete and federated view of the railway in a digital environment. 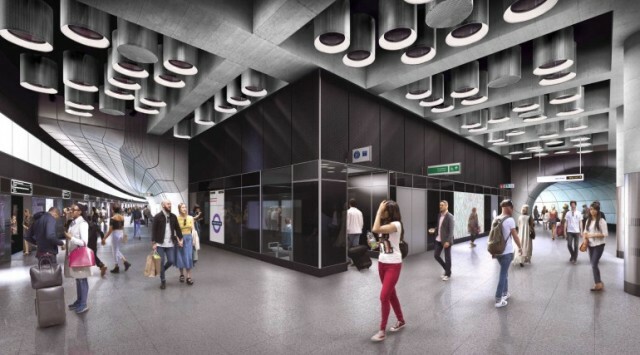 “Crossrail is leading the world in demonstrating the value of BIM to realize greater efficiency and cost-effectiveness in project delivery and asset lifecycle information management,” said Alan Kiraly, senior vice president of Bentley Systems. Secure cloud-based platforms such as Microsoft Azure have a lot to offer for BIM users. It’s tempting for many to consider BIM as design software alone, but it’s essential to remember that BIM is a process that comes with its own style of workflow. This type of workflow involves keeping international teams up to speed all the time—so BIM can’t reach its full potential when its information is kept in isolated silos. Keeping this information in a CDE on a cloud-based platform ensures that everyone who needs to access this information can in a real-time and reliable manner. It’s also worth noting that while this project is being described as a hybrid cloud-computing platform, Azure is one of the big players in the Internet of Things (IoT) right now. Moving the CDE to this platform will be quite advantageous in the later stages of 5D modeling—which typically deals with facilities management—if the plan is to install sensors and the like to incorporate the IoT into managing the massive rail project. The Crossrail railway project, which will be named the Elizabeth line upon opening, is slated to open for service in December 2018. For more information, check out the Crossrail website.